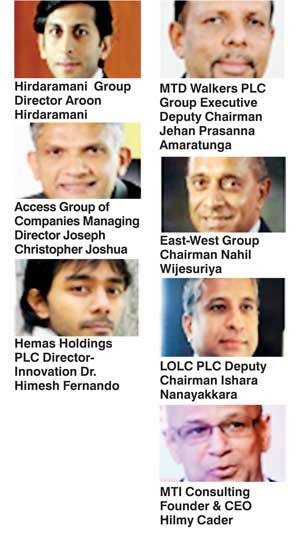 ‘idea2fund’, the year round start up platform powered by MTI Corporate Finance has announced the judges for the commercial presentation stage on 30 April and 1 May at the Hilton Colombo Hotel. The judges will be directors and chairmen from each of the investment pledgers (or their senior nominees from the organisation) and MTI as follows: Aroon Hirdaramani (Director, Hirdaramani Group), Hilmy Cader (Founder and CEO, MTI Consulting), Jehan Amaratunga (Group Executive Deputy Chairman, MTD Walkers PLC), Joseph Christopher Joshua (Managing Director, Access Group of Companies), Eng. Nahil Wijesuriya A.M.I. Mar E (Chairman, East-West Group), Dr. Himesh Fernando (Director – Innovation, Hemas Holdings PLC) and Ishara Nanayakkara (Deputy Chairman, LOLC PLC). The judges will be evaluating 45 business ideas that were shortlisted from the concept presentation stage based on the commercial viability and the domains interests. As each of the judges represent the investment pledgers who have pledged Rs. 100 million each, it is an opportunity for many of the entrepreneurs to not only validate their idea from domain experts but also secure funding for their business idea. “As we come to the business end of this challenge, it gets interesting as the interface between the entrepreneurs and the investors takes place. There is bound to be hard questions asked and the ideas challenged but more so importantly, it will be a great experience for the entrepreneurs to learn from these domain experts plus stand a real chance of kick starting their ideas with funding,” said MTI Consulting CEO Hilmy Cader.